This is a guest-post in the form of a written interview with a female patient about her experience of hijama therapy in Qatar for the treatment of depression and infertility. Now she is successful in registering for the I.V.F treatment with increased egg count, but hopes and wishes before her appointments for I.V.F that she conceives with the help of hijama insha Allah. By the grace of Allah I am now living a healthy life. 20 years ago I got married, as soon as I began my married life.I started to face different diseases. The first incident that I faced was a miscarriage. This made my life miserable. I became a patient of severe depression. After a few years I conceived again, but again had a miscarriage. Likewise I had 3 more miscarriages. But my sorrow due to the miscarriages converted into severe stress and depression. I lost interest in life. From one place to another place my husband moved to get my treatment. Due to stress I lost my energy of muscles of shoulders, .my legs muscles also became weak and while talking I would stammer..I lost my confidence. My left side of the body was badly damaged with severe numbness and pain. I just wanted to end my life. I was really fed up with my health problems and all the time I was going through headaches and huffiness, being issueless I considered myself useless. Being an artist by profession I couldnt do anything to bring my creativity out, empty feelings made me self pity. Infertility was damaging my whole body and soul. Before my marriage my friends used to call me bubbly but after marriage my infertility made me isolated, anti-social. Life seemed a daily burden to me. I used to take different treatments. I didn’t leave any of treatment, whether it was homeopathy, allopathic, herbal, spiritual…all kinds of treatment I been through, massages for pain. Home remedies etc. 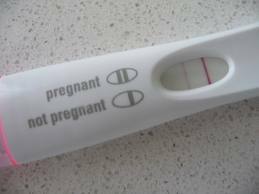 I even went for IVF treatment but my blood tests and ultrasound reports revealed that the egg quality was bad and only 4-5 eggs are formed. I received rejection of treatment from there. One day my sister called me and told me about the treatment of hijama…then I started to search on net to gain its knowledge…when I read about it I then decided to take this treatment…at last through the internet I got a number of hijama center for appointment .As I was living in Pakistan and was going to move to Qatar I browsed the Hijama Directory and found a female therapist in Qatar. I havetaken 6 sessions with my therapist in Qatar. She had a detailed study of my reports checked every pain site even went into details of my diet and lifestyle. It became clear to me I was in safe and comfortable hands. First few sessions involved cupping at many places 5-6 each time . Then I even took an aroma massage cupping session, for my almost dead left side of body. As soon as I had my 1st session..life changed miraculously. That night I slept peacefully after a long time. I.felt peace of mind. After the 2nd session, my shoulder pain and headache was reduced. The 3rd session removed my leg pain. Until now I have taken almost 6 sessions and now I am back to my normal life. My behavior has become soft again, I have a tension and stress free mind and positivity toward life. All pains have vanished. I sleep like a baby. And now my egg quality has improved greatly and the number of eggs formed is 11-12. And the doctor has registered my name for IVF treatment as well. I always kept on saying “please remove all bad blood out of my body “, and she used to smile, I used to go in with throbbing pain conditions and return like a normal person with full-on energy. May allah bless her for her kindness . At times I used to be amazed how she handled her apparatus so neatly and remembering the aromatherapy and massage cupping session still makes feel fresh. She is a very skilled lady and has lot of concern for her patients. I just love her way of treatment. Ma sha allah. e he attended or was it something handed down from generation to generation in their family)? Yes I asked my therapist she had studied hijama from U.K. She had practical traning from Qatar and India. As well she has worked under supervision of few people. She also had training in emergency medical first aid from the local Hamad hospital recognised by the Supreme council of Health in Doha , Qatar. I am a practitioner of Hijama, Acupuncture, Reflexology, Reiki and Massage. I got my formal training in Malaysia, Indonesia and also my home country, Singapore. Before I got into the world of CAM(Complimentary & Alternative Medicine), I used to work in the Civil Service for almost 31 years. Over the years working in the Civil Service, I've developed acute migraine, due to work stress related. At times when the migraine strikes, I felt that my head was going to burst and followed by extreme vomiting. I used to prescribe to Ibuprofen and other powerful drugs to rid off my problem only to succumb to it the next few days. After I retired from the Civil Service, the problem still haunt me until one day a friend of mine recommended me to a Hijama practitioner. I was skeptical initially but still willing to try. I had a small portion of my head shaved off and blood was sucked out from it. The practitioner showed me what what drawn out from my head and I was completely shocked on what I saw. After the 1st session, about one month later I realised that my migraine problem did not recur. I followed up with my 2nd session few months later. I was amazed by this curative medicine and I decide to go for a formal training after doing a lot of reading and research. To date since 2009, I have encountered many people with various types of ailment such as stroke, diabetes, gout, arthritis, athma to name a few and it gives me great satisfaction in seeing them gets better.